Located in the northwestern corner of Clackamas County on the banks of the scenic Willamette River and hugging the shore of a 405-acre lake, Lake Oswego is nestled among many of Oregon’s greatest attractions: Mount Hood, the Oregon Coast, the Columbia Gorge and nearby vineyards, farmlands, and forests. Lake Oswego is also ideally situated close to Oregon’s major metropolitan areas – just eight miles south of downtown Portland and about 45 minutes north of the state capitol in Salem. Lake Oswego is considered one of the finest residential areas in Oregon. 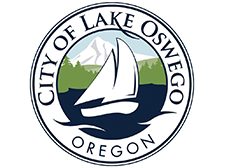 Unlike some communities its size, Lake Oswego offers full-service police and fire protection, a celebrated library, and parks system. It also provides planning and zoning regulation, building inspection and regulation, street maintenance and improvement, water, wastewater and surface water services. The schools in the city (Lake Oswego School District) rate among the best in the state. There are also several colleges in or near Lake Oswego–Lewis & Clark College and its affiliate Northwestern School of Law, Marylhurst University, and Portland Community College (Sylvania campus). Although the city is primarily residential, there is some commercial development and light manufacturing. Most of the businesses are located downtown near the Willamette River on the City’s western boundary, or on the west end in the Lake Grove business district and neighborhood. Commercial properties on Kruse Way, near the interstate highway, offer some of the most sought after Class A office space in the region. There is a city-owned sports center on the Willamette River; two public swimming facilities on the privately managed Oswego Lake; an 18-hole golf course; indoor tennis center; and outdoor amphitheater right along the river. These amenities, managed by the City’s Parks and Recreation Department, help promote Lake Oswego as a place to live where you play.